Whoohoo! I must admit, I carry a pair of the Kushyfoot Foot Covers in my purse, so I am super excited for this deal, and we don’t even need coupons! 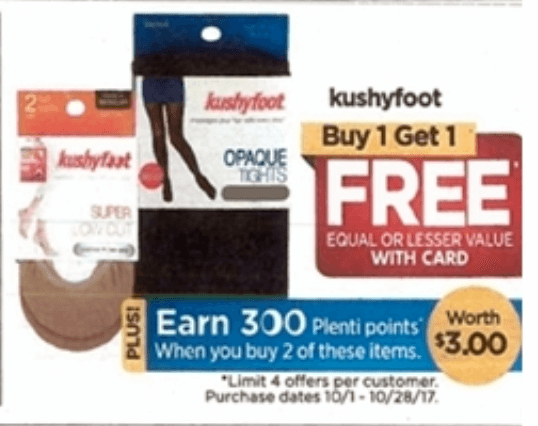 Kushyfoot products will be on sale starting Sunday, 10/15, Buy One Get One FREE and when you buy 2 you will earn 300 Plenti Points ($3.00, limit 4, monthly). 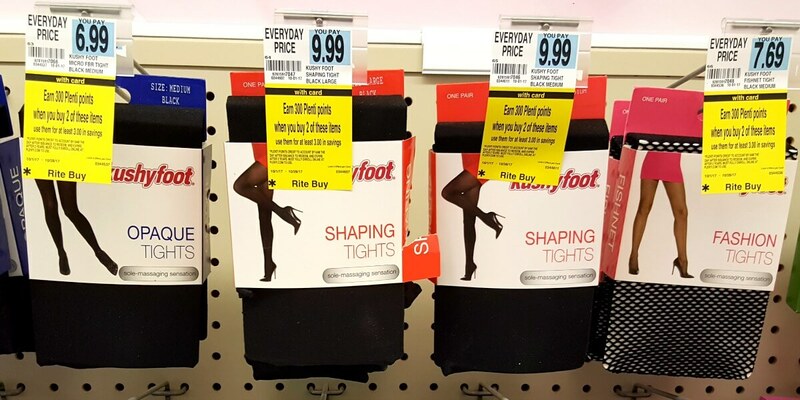 The Kushyfoot Foot Lace Foot Covers retail for $4.49. When we buy two we can score these for just $0.75 each after Plenti Points! Super easy! Del Monte Fruit Cups as Low as $0.67 at Stop & Shop, Giant, and Martin!